Soft Cover A4 portrait style Pictorial guide well supported by B&W photos, Colour plates and tabular information. 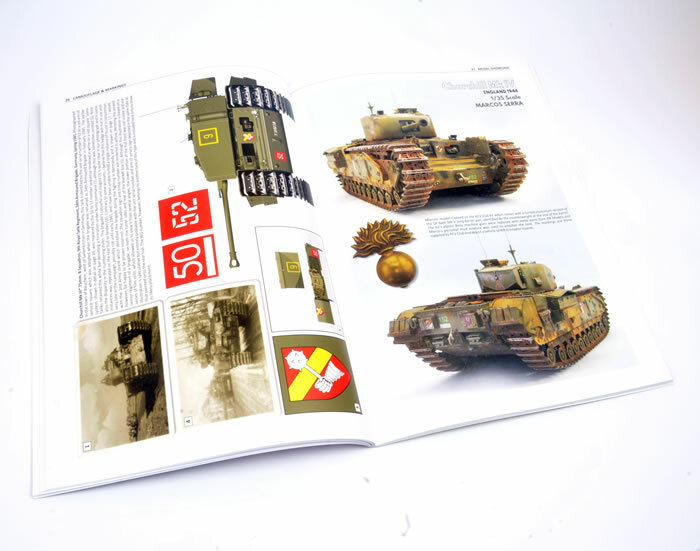 10 pages of colour plates, 11 pages of 35th Models and a Modellers resource section. 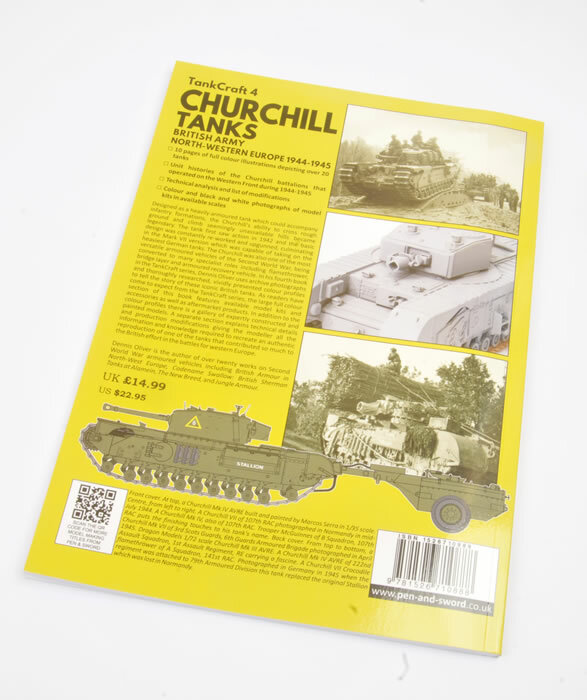 Excellent collection of Churchill images and information on their employment backed by A colour plate and model gallery and a modellers resource section. Some illustrations such as the Tank Armoured Bde would be more useful in colour. 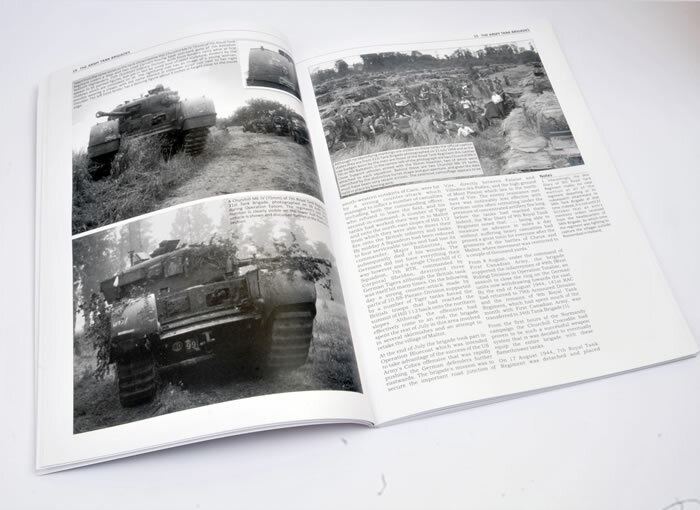 This book will appeal to fans of British Armour, modellers, wargamers and historians alike. 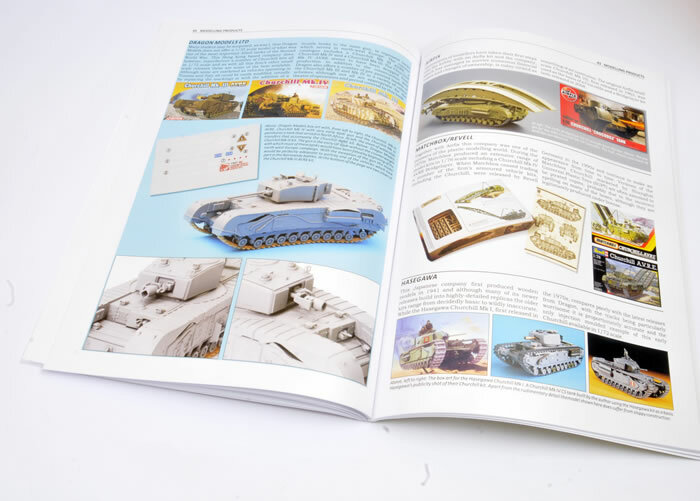 Modellers should find many an interesting scene to depict within its pages and information on how to get the resources to model one. This is another excellent title in Dennis Oliver’s collaboration with Pen and Sword Books Tank Craft range. 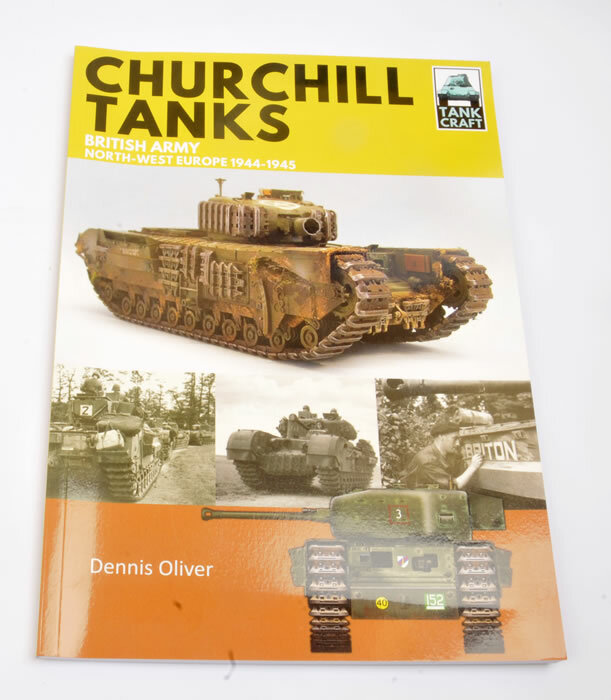 This is a series of books aimed at the modeller covering the better-known Tanks of World war 2, in this case, the Churchill Heavy Infantry Tank and its employment in North West Europe from Jun 44 until VE day. This title follows the format of its successors and is a great concise history of the Churchill’s employment in the North-West Europe campaign 44-45. It covers both the specialised Armoured Engineer variants as well as the excellent Infantry support tank. Like other titles by the Author he really fits a lot in a small space and he has researched this one well. 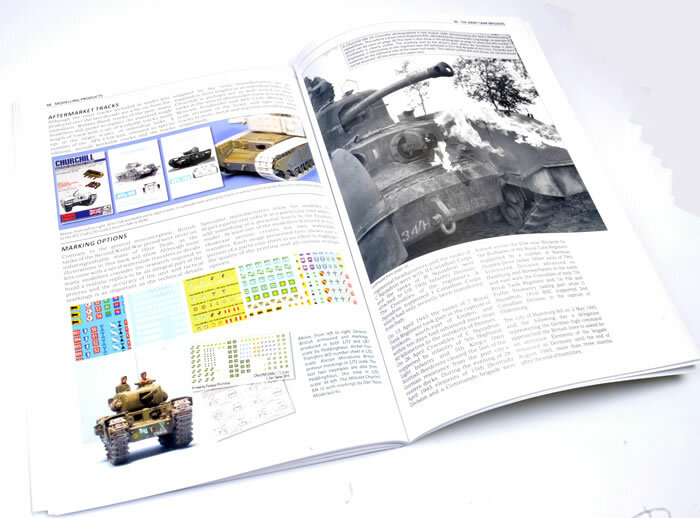 This title is packed full of useful information such as tank strengths, Markings guides and a chart of vehicle names in 4th Battalion Grenadier Guards to name a few. 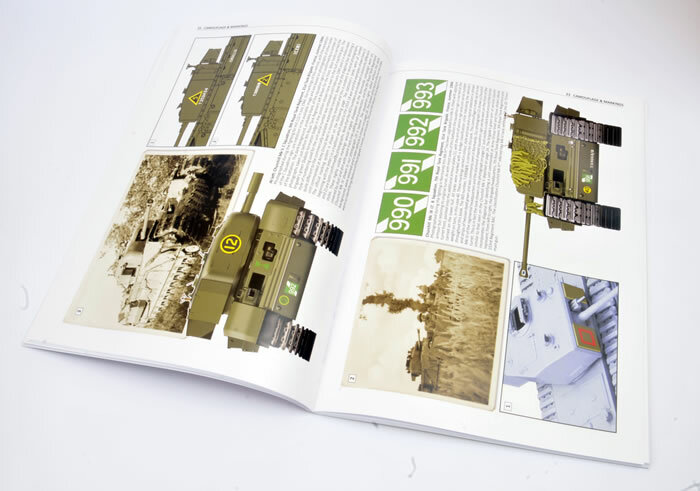 The colour plates are what we have come to expect from the Author and cover a variety of Gun Tanks and AVRE variants. Each has explanatory notes and detail insets for Markings etc. The Model Gallery has a range of stunningly built 35th scale models in full colour which the modeller should find inspiring. To aid them in the quest to replicate one of these a great modellers resource section covers the Major kits available and the aftermarket accessories for these.